* Tobacco Vanille is strong and not for the faint of heart. It projects for miles and is very powerful. * The scent progression is so slow and gradual that it often feels linear (or unchanging on me). * Over time, the vanilla gradually increases in intensity until the tobacco and vanilla are equally blended. Summary: Obviously one of the most decadently non office-friendly fragrances that you could imagine. One spray will last you until you scrub it off – and even then you will still smell the sweet base for another day or so. The projection is atomic – like the powerhouse scents of the ’80s, but amped-up even more. TV is regarded by many as one of the best luxury vanilla fragrances and I agree – I put it the same category as Guerlain Spirtieuse Double Vanille and Frederic Malle Musc Ravageur – interesting takes on what is a common note. I’ve been called a Fordie by several fragrance people, yet Tobacco Vanille is one that I did not love at first. After I wore it a few times, I started to respect the powerful beast and then eventually fell in love with it. It definitely reads older to me – men over forty mainly, as I think it would be too much for a younger guy. It would make a great gift for any man who smokes pipes, drinks bourbon, or engages in other classic gentlemanly leisurely duties. It would also work well for a guy who wore A*men or Kouros in their twenties and are looking for something to graduate to. 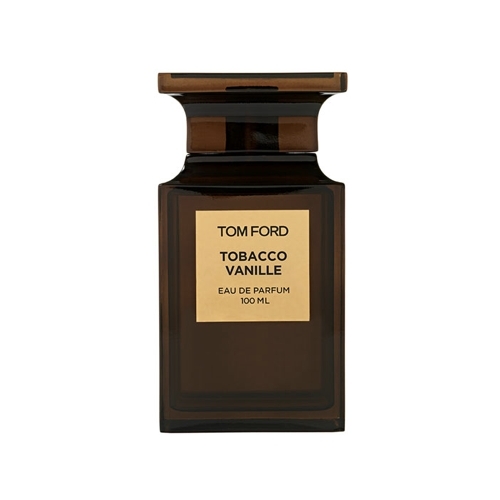 Tom Ford Private Blend Tobacco Vanille is available from Tom Ford boutiques, Neiman Marcus, and Saks Fifth Avenue.